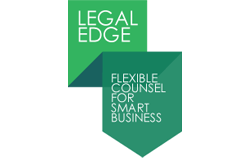 Legal Edge is a team of commercially astute experienced in-house legal counsel. Their unique business model redefines the way in which in-house legal services are delivered. It means that any size of business can benefit from having them on its team without the need to add to headcount. They work on-demand with management teams or existing in-house legal departments to deliver practical commercial solutions to the day-to-day legal matters facing businesses. The Legal Edge team was very nervous about engaging with a telemarketing company to generate leads for them given the weight that sits on their reputation. They needed to raise their brand awareness and wantesd introductions into the organisations in the various sectors in which their expertise sits. The Legal Edge team’s skill set sits entirely around their excellent legal knowledge and not in sales and they recognised the need to engage the services of a sales person that not only reflected their professionalism but understood and could convey the unique service they offer. VSL assigned a caller to Legal Edge with an HR background and this fitted the needs perfectly. Our caller instantly grasped the service and embarked on a campaign calling for Legal Edge 1 day per week. The data was initially a selection of IT specific companies with whom introductions were made and appointments set. The campaign was monitored closely for patterns of interest and over time additional sectors were added to the campaign. As the knowledge of each sectors requirements and understanding of the key contacts became more and more clearly defined the campaign became more focused and targeted very specific contacts and titles within these industries that each of the legal experts covered. Small amounts of carefully researched contacts are added to the database that we call from on a regular basis and the database is maintained for focused mailshots. VSL have now been working with Legal Edge for about 18 months and the campaign has resulted in an average of one lead per day. Legal Edge have now stepped up the calling to 6 days per month and as new members join the legal team, the data is added to the database to support the new skill set. VSL’s services have increased and grown with the Legal Edge team and we have been able to react and scale up and down on the calling to suit their requirements.